WHEN Brian McIver took charge at the end of 2012, he spoke of the Derry job being a “three-to-five year” project. But year three went considerably worse than years one and two, and in the end, three was enough for him. The league campaign was a real comedown from the 2014 version, when they had beaten the likes of Dublin and Mayo in reaching the Division One final. What they took from this year’s league was simply the realisation that last year’s attacking brand of football no longer held court. It was out of date within 12 months and it was only when they went to Croke Park and frustrated the Dubs that they really began to work on playing defensively. That 0-8 to 0-4 defeat – which confirmed Derry’s relegation back to Division Two – will go down in infamy but the reality is that had they gone down that line sooner, they might have had more joy. Instead, they started off on an attacking footing and found themselves with just a single point to show from a draw with neighbours Tyrone before the final day of the season. Even then their defensive system was unsure but it strengthened in the second half against Cork and Enda Lynn’s two goals secured a precious, morale-boosting win at Owenbeg. But the apathy was evident in the attendance of less than 1,000 that afternoon. It cut through the whole campaign, with almost a dozen players walking away from the squad at various times through the year. It was talent the like of which Derry could not afford to lose. Gerard O’Kane was the first high-profile player to go and before the season had ended, he was joined by the likes of James Kielt and young talents Terence O’Brien and Conor McAtamney. 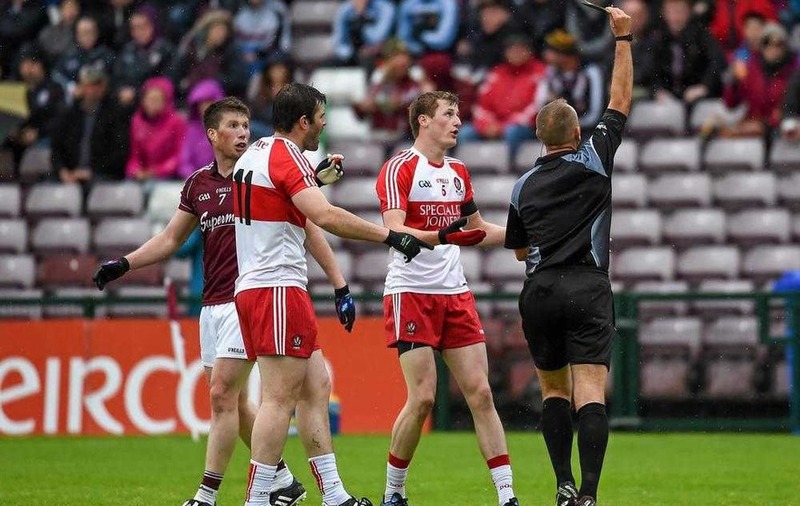 And yet, despite their relegation and lack of form, Derry overcame Down in their Ulster championship opener. An exact role reversal from two years’ previous, when Down came to Celtic Park having been relegated as Derry were promoted, and the result switched sides as well. But it was incredibly nervy as they squandered a four-point lead with a man advantage following Conaill McGovern’s dismissal early in the second half, only for Eoin Bradley to win it with an injury-time free from the 13’. The provincial semi-final with Donegal saw Derry produce their best performance of the year, in spite of defeat. With Rory Gallagher’s men coming off the back of hammering Armagh, Derry spied an opportunity to catch them out. The plan was carefully laid by McIver as Derry sat deep and then built attacks methodically. It frustrated Donegal. It should have beaten Donegal, only for the major failing of missing so many scoreable chances. In the end, the 2012 All-Ireland winners escaped with a two-point win and Derry went off to try their luck down the scenic path once more. But they never replicated the levels nor intensity of that performance. Wexford were poor and well enough beaten when they came to Owenbeg but it all ended a week later in Salthill. 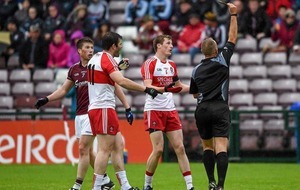 Cork referee Conor Lane came in for scathing criticism after the game and his decision not to award Cailean O’Boyle a penalty at a critical time in the second half angered McIver so much that he resigned straight after the game. Galway broke the length of the field from that same Derry attack and Danny Cummins smashed home the Galway goal which ended an era of Derry football. IT’S hard to know where to begin. There was a fair degree of optimism when Derry reached a Division One final last year but that has been replaced by realism that borders on pessimism. There were elements of positivity from the year, with the development of Oisin Duffy as a starting corner-back, Brendan Rogers’ introduction as a tailor-made number three and Niall Holly’s growing midfield credentials among the plusses. Kevin Johnston’s superb form at wing-back had been another but the knee ligament injury he suffered leaves him still facing a lengthy road back. What they have really lacked is a go-to scoring forward. Eoin Bradley returned to the panel but only played bits and pieces and his performances were, outside of the Down game, short of his own potential. Emmett McGuckin faded off the scene after a good 2014 and Mark Lynch’s own form never hit the heights of last year either. It left Derry scraping around to find scores, having been one of the top scoring sides in the country just a season earlier. It remains a sticky point for some that Paddy Bradley has been in exile for the last three years. He has fought back from a fairly horrific run of injuries and his club form over the last 18 months has been enough to justify a recall. Derry could be doing with his reliability and accuracy. Will his brother Eoin play next year? His burgeoning soccer career with Glenavon was tolerated by McIver this year but the new manager may have his own thoughts on that arrangement. Derry have also failed over a number of years to adequately back up Fergal Doherty and Patsy Bradley. That warrior duo has been a first-choice midfield but one that has been riddled by injury over the past five years. But the Oak Leafers still seem to go into every championship campaign panicking over who’ll play in the middle if one or the other isn’t fit. 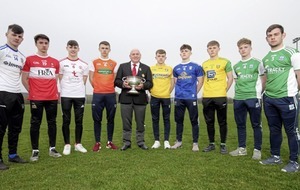 In Conor McAtamney, who will doubtless return to the squad for next season, Brian Óg McGilligan and Terence O’Brien, they have three young options crying out to be moulded into a top-class modern midfielder. All three have the natural physique. Working on the next generation of midfielders is an absolute must for the new manager. THERE’S a list of names a mile long being linked with the Oak Leaf job. 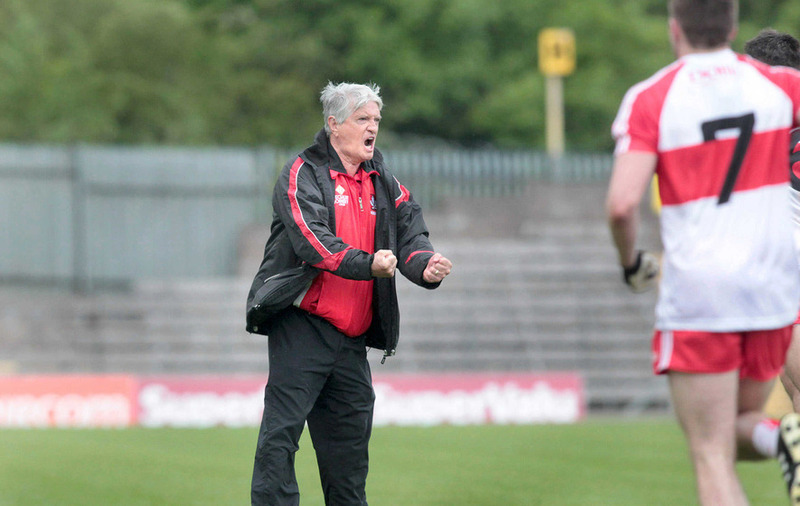 Brian McIver ended his three-year reign after the Galway game. He had recently been linked with a u-turn on that decision but that now appears unlikely. More have ruled themselves out of contention than in. Seamus McEnaney was the early frontrunner but names like that of former Armagh boss Paul Grimley have cropped up over the last few weeks. The Derry county board has kept a very tight lid on proceedings but a decision is expected soon. 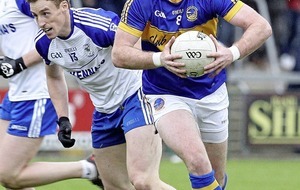 WHEN Dermot McBride is fit, he is as good a defender as you will find anywhere in the country. The Ballinascreen man has played very little league football – club or county – over the past couple of seasons as he finds himself constantly troubled by niggly injuries. But as he showed this summer, when he’s available, his qualities are undoubted. Came into the team towards the end of the league and conceded a single early point to Donal O’Hare against Down before shutting him completely out, and it was a similar story against Patrick McBrearty in the Ulster semi-final. Played well through the qualifiers as well and is the go-to man-marker that the next manager will hope to available more often than Brian McIver did. OF the Derry team that finished the campaign, there are none you would consider as definite candidates for retirement, but there will be question marks over a few. The ultimate question hangs over midfield partners Fergal Doherty and Patsy Bradley. They have been the spiritual backbone of the team for most of the last decade but both have had persistent injury problems of late. Whether Gerard O’Kane will return to the setup after opting out early in the year remains to be seen. James Kielt is more likely to come back in, as are some of the other younger players who walked away this term. Those few aside, however, the age profile of the team is fairly young, with only really Mark Lynch and Eoin Bradley pushing the boundaries of 30. THE one thing you absolutely have to give credit to Brian McIver for is allowing players the opportunity to develop by giving them games. It was particularly notable in the improvement of Oisin Duffy who, after a few years on the panel, was given time to bed in and eventually nailed down the number two shirt. Brendan Rogers stepped straight in after Slaughtneil’s run to the All-Ireland club final, while Ciaran McFaul also had a good championship before suffering a hand injury. Liam McGoldrick, Brian Óg McGilligan and Conor McAtamney looked the best of the rest of the young crop coming through over the season. Keeping the likes of Terence O’Brien and Emmet Bradley involved could be important for the incoming boss.